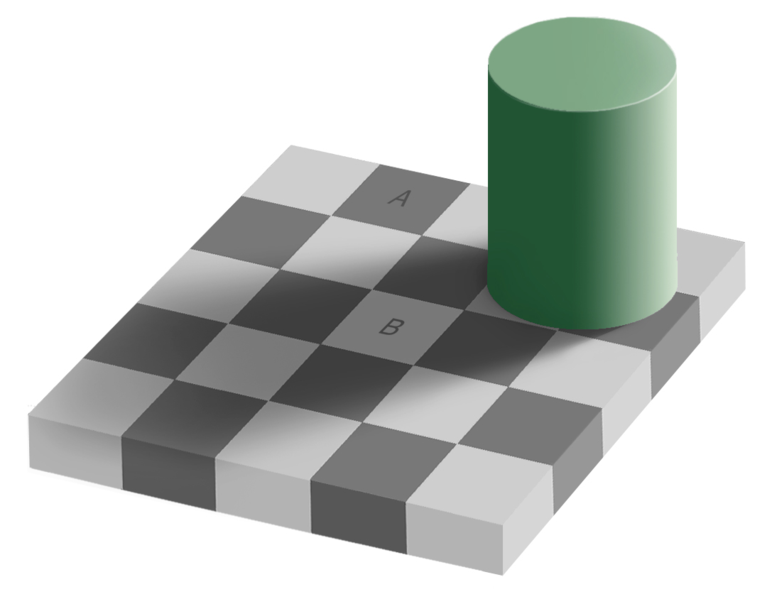 Squares labled A, and B are the same color! Cover the surrounding squares with your fingers. Print it out and cut out the squares. Print it, and cut holes in a piece of paper, so only the two squares show through, and then place the paper on top of the drawing.